Ya gotta have a fiddle in the band! Take Lessons... it's never too late to learn! Make your dream a reality! Do you have an ear for music? Would you like to step dance? ..... Sign Up Today! 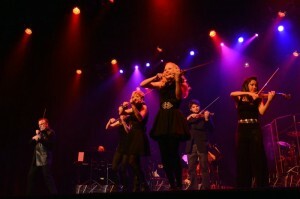 Welcome to the website of Canadian Fiddler, Step Dancer and Vocalist, Linsey Beckett! Linsey is an award winning musician, who freelances, tours and records with a variety of bands and musical productions, including Bowfire. Feel free to look around, and if you like what you see, please get in touch! Thanks for visiting!